Louisa Fleet Recruitment : Is it you? 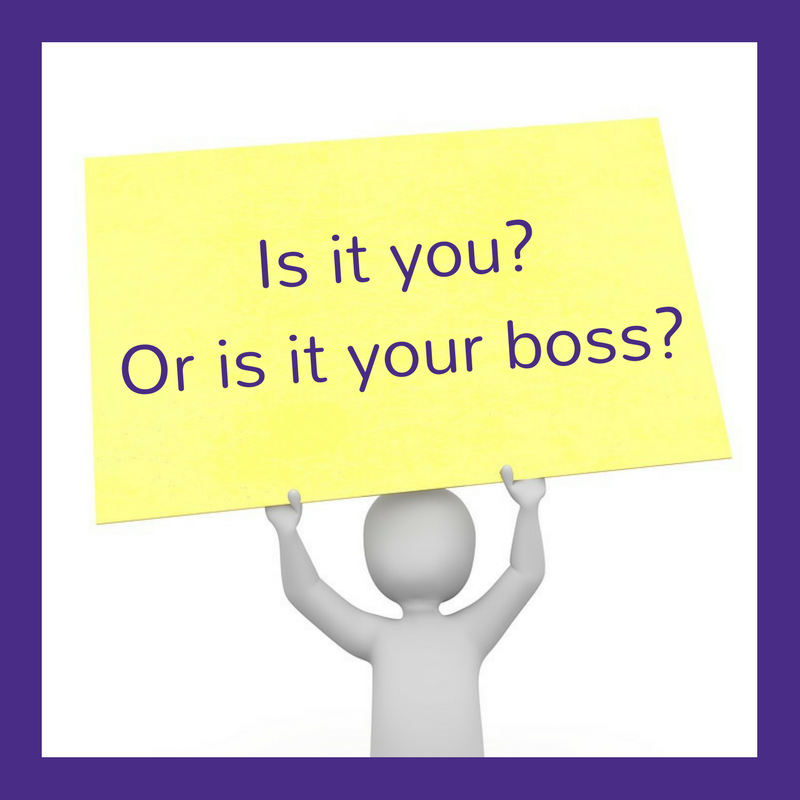 Or is it your boss? Is it you? Or is it your boss? In my time, I have interviewed hundreds of sales people and the majority of them all have something in common. The boss who is perceived to be sitting on their shoulder, watching their every move. In my opinion, even the most activity driven managers will trust their sales people with minimal contact and updates once established in their role, assuming they aren’t given a reason to do otherwise. Have you got a manager who knows your every move? Managers who like to be over involved, in general, don’t tend to have a strong trust relationship between themselves and their teams. Is this really the case? Could it be that the message that you are sending that makes your line manager feel nervous to let you roam free without supervision? Are you guilty of any of the following? • Being late with your sales figures/activity reports and having to be chased for them? • Always answering the phone on the first ring? • Not being available to return calls to your boss the same day? • Always on your way to a meeting but never in one? • Guilty of booking meetings that cancel last minute? • Not hitting your financial or KPI targets? A line manager’s success is dependent on his team delivering. If you aren’t hitting the numbers or showing the right behaviours, then they may need to take uncomfortable action. This could look like one of the following…. • Surprise visits from the manager on a day in the field. • Calling your customers to check you attended your meetings. • Asking you to work in the office rather than home, just so you can be seen. • Using the tracker reports available from your car – to ensure you are going where you said you would. It’s frustrating to be managed in this way. However, for many line managers it is a style that needs to be evoked when coaching and support don’t get the results needed. Performance is what your managers are looking for. Ensure that when meeting with your manager, between the pair of you, you have clear expectations and trust that you will implement any action points. As a manager, I expect my team to send me regular updates so I don’t need to check and ask for feedback; if you proactively manage upwards you can avoid check in calls. Share your successes, and ask for help with problems – that way goals are still met. A frustration many managers share is when they are told something hasn’t been achieved on the deadline day. To avoid micromanagement you need to be accountable, if something isn’t going to be achieved – then don’t wait until the day it is due to share the news. Manage it – speak to the person you agreed the expectations with, and give plenty of time to spare. Explain why the deadline isn’t going to be hit. Look at something mutually agreeable, present a solution, then don’t miss the deadline again! 1. Ensure you have clear objectives, with your manager - set a target, break down activity on how to reach that target, and then to go out and achieve. Don’t agree to unrealistic objectives. 2. Report back – the more you share the less people ask! 3. Ask for feedback – if you are being managed through clear objectives then you need a follow up with feedback. Then you can learn and grow! Have you been in a situation where your boss has been more focused on catching you out rather than leading you to perform, was it you or them? For lots more tips and advice you can follow us on Twitter and LinkedIn and like our Facebook page. Get recruit in related field now a days is the priority for every graduate or post graduate student. You guys are fulfilling the recruiters requirements by providing recruitment consulting services for different fields. get same IT Consultancy Services from Synergy 360 in australia.